WorkCover WA is committed to the professional and personal development of young people who are eager to commence their career in the public sector. The Government Traineeship Program is a 12-month employment-based training program for people under 25 years of age, who wish to learn a range of skills and competencies and prepare themselves for a career in Government. Trainees can expect to be taught about ethical decision making, legislation in the WA public sector and workplace safety, as well as working effectively within a public sector agency and contributing to team activities. Applications for WorkCover WA’s Traineeship Program are conducted through the Public Sector Commission’s process. Lauren joined WorkCover WA in late 2016 as our current trainee. On a daily basis, Lauren can be found updating the staff intranet and WorkCover WA website, handling customer enquiries, completing graphic design work and assisting other team members. Throughout her time at WorkCover WA, Lauren has gained confidence in communicating with others. 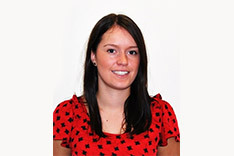 Lauren enjoys working with people and has developed excellent customer service to stakeholders. Lauren would recommend the traineeship to anyone who has just finished high school, or is at a career crossroad, as she’s found it to be an excellent opportunity to learn on the job, meet some wonderful people and be nurtured by experienced public sector professionals. WorkCover WA offers the opportunity for university graduates to kick start their career within the Western Australian Public Sector. Our Graduate Program aims to advance graduates’ careers in an exciting, supportive environment while contributing to the Agency’s operations. As a WorkCover WA graduate, you will receive on-the-job learning designed to provide you with an understanding of the Agency’s business, participate in the Public Sector Graduate Program and develop valuable skills and experience. The Graduate Program runs for 12 months employed under the provisions of the Public Service and Government Officers General Agreement 2014 at a Level 3 classification. Don’t just take our word for it, see what our current and past graduates think of the program and working for WorkCover WA on our Meet our team page! Applications for the 2018 WorkCover WA Graduate Program open in late 2017. For more information about employee benefits, salary provisions and our commitment to diversity, visit our Why Work for Us page. Nikki commenced at WorkCover WA in 2015, participating in the graduate program. Nikki has a background in law, arts and political science and was drawn to the rotational-based graduate program to use her skills in a variety of divisions. 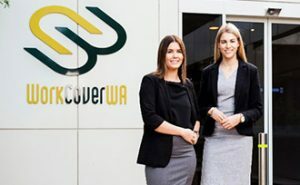 Nikki spent her first few weeks at WorkCover WA in Corporate Resources, learning how the agency operated, before spending three months in Conciliation and Arbitration Services (CAS), Regulatory Services and Legislation & Scheme Information respectively. Nikki’s advice to future graduates is to be proactive and show initiative. She found the program to be incredibly beneficial, in that it provided her a comprehensive overview of the organisation and enabled her to understand how the divisions within the agency work together. After finishing the 12 month graduate program, Nikki permanently moved to the Legislation and Scheme Information Division, where she currently works as a Policy & Research Officer.